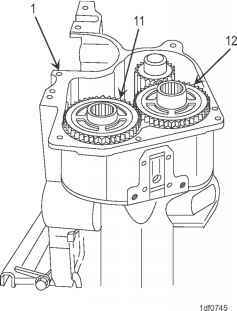 Insert headed straight pin (9) through holes in recoil housing cap (7) and recoil damper rod (8). 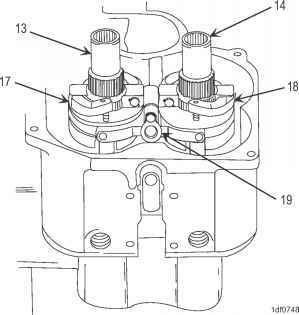 a. Insert new cotter pin (10) through hole in headed straight pin (9). b. 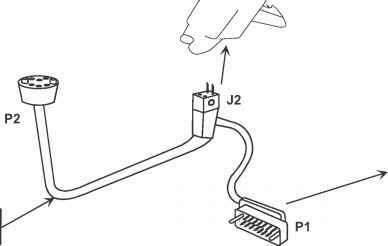 Bend cotter pin (10) ends in opposite directions around headed straight pin (9). 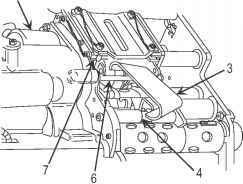 a. Finger-tighten damper nut (6) so that it contacts breech tab (11). 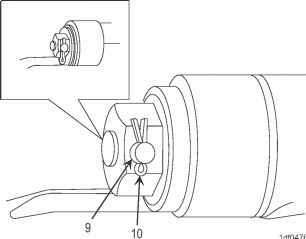 b. Torque damper nut (6) to 108 ft-lb 8 ft-lb (146.45 N-m 10.85 N-m). 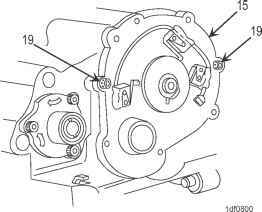 Do not torque access cover capscrews. a. 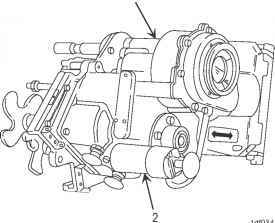 Position feeder housing assembly (2) as shown. b. 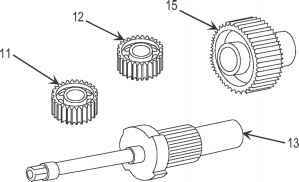 Install worm wheel gear (20) into feeder housing assembly (2). 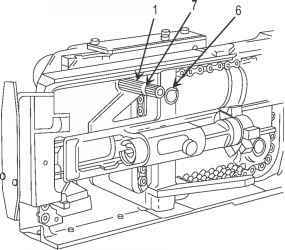 a. Insert machine key (21) into worm shaft (22). 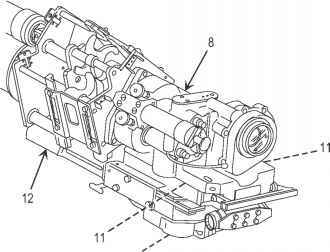 b. Align slot in worm shaft bevel gear (23) with machine key (21) and install worm shaft bevel gear (23), gear end first, on worm shaft (22). c. Place ball bearing (24) on worm shaft (22). 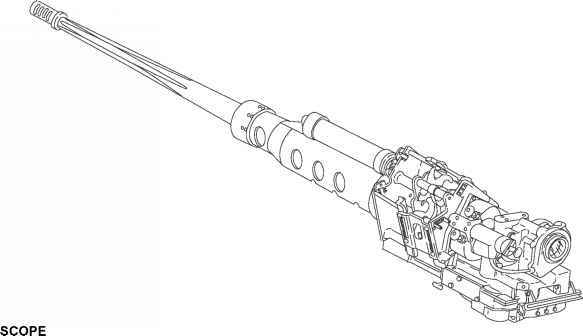 d. Install ball bearing (24) until seated on worm shaft (22). 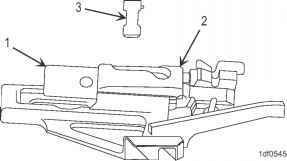 Install cam-pin assembly (3) into breech bolt (1) so that top of cam-pin assembly (3) is flush with carrier assembly (2). 2. 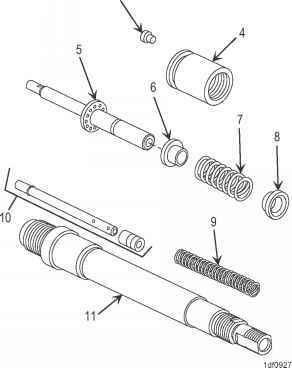 INSTALL FIRING PIN ASSEMBLY AND FIRING PIN SLEEVE. a. 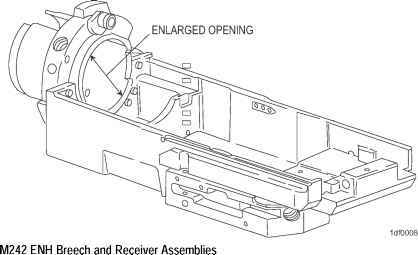 Slide rear of firing pin assembly (4) through front of firing pin sleeve (5). 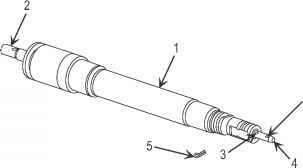 Pass firing pin tang (6) along groove in firing pin sleeve (5). b. 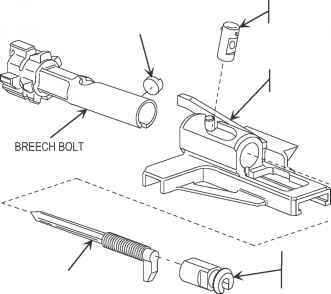 Slide firing pin assembly (4) and firing pin sleeve (5) into rear of breech bolt (1). Place damper housing assembly (1) on clean work surface. b. 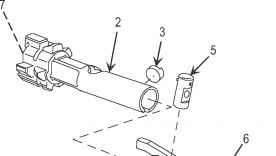 Press recoil damper rod (2) until second hole (3) in indicator rod (4) can be seen or insert lock pin (5) in first hole (6) and pull indicator rod (4) out. 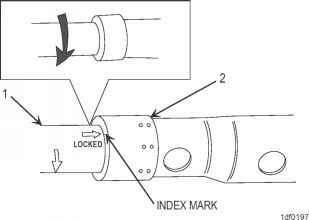 c. Insert a lock pin (5) in second hole (3) of indicator rod (4). 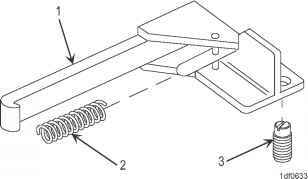 Spring support threads may be damaged if clamped in a vise. 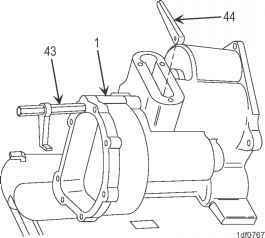 Clamp vise jaw caps only on support flats. d. Place damper housing assembly (1) in vise with vise jaw caps with indicator rod (4) at bottom. 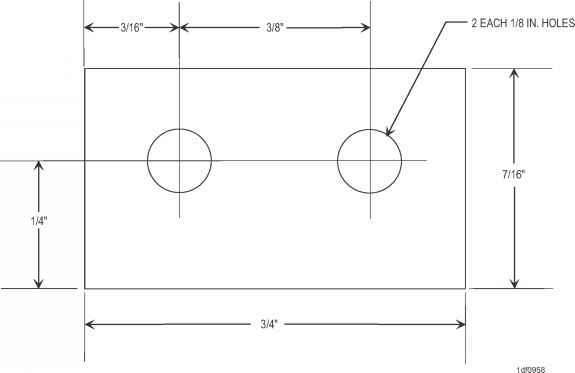 REMOVE LOWER RIGHT STEPPED SPACER. 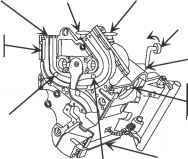 Loosen capscrew 3 . 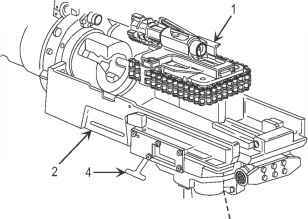 Remove capscrew 3 and lower right stepped spacer 4 from feeder drive assembly 1 . 3. 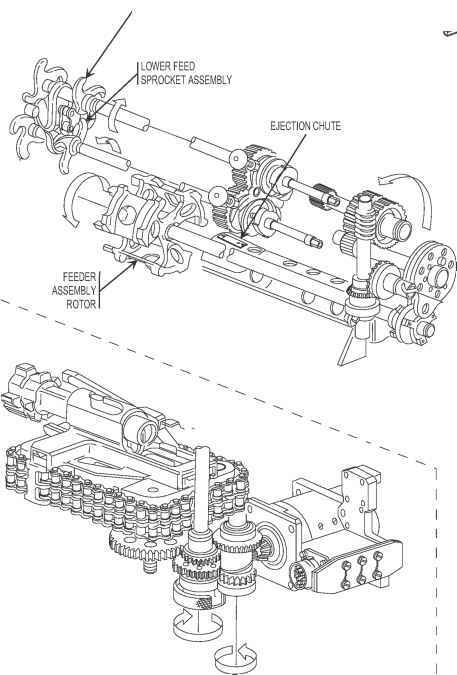 POSITION FEEDER DRIVE ASSEMBLY. 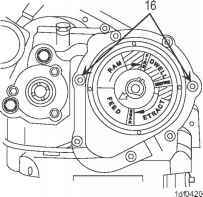 Position feeder drive assembly 1 with lower feed sprocket assembly 5 at top. 4. 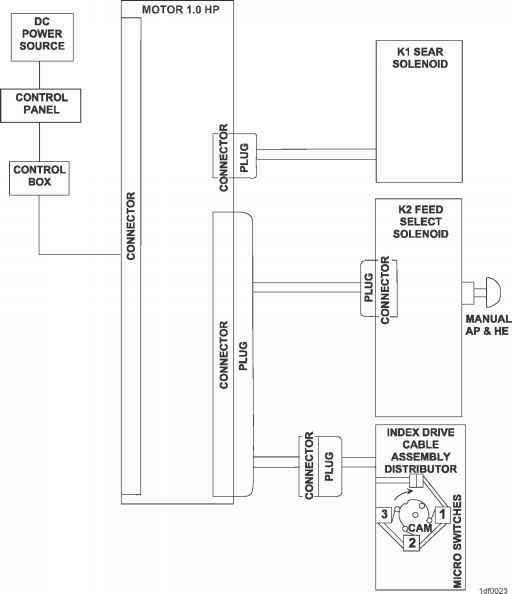 REMOVE LOWER CENTER STEPPED SPACER. Loosen capscrew 6 . 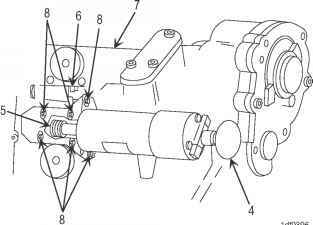 Remove capscrew 6 and lower center stepped spacer 7 from feeder drive assembly 1 . 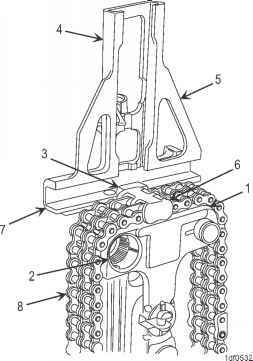 Repair chain guide and mechanical interlock by replacing defective rocker assembly parts WP 0069 00 ._ Repair chain guides and mechanical interlock by cleaning and or replacing operating rod assembly WP 0069 00 ._ Install rear chain guide WP 0069 00 . 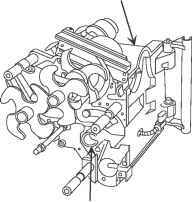 Install sear assembly WP 0065 00 . 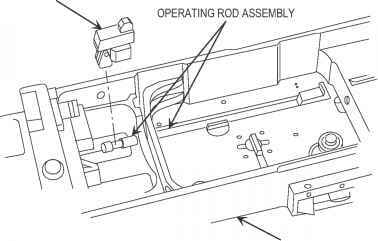 Assemble bolt and track assembly WP 0054 00 . 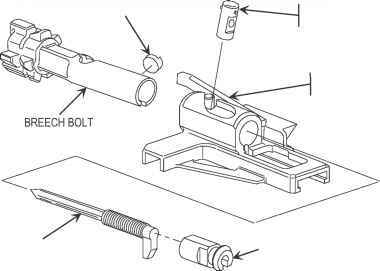 Install bolt and track assembly WP 0053 00 . 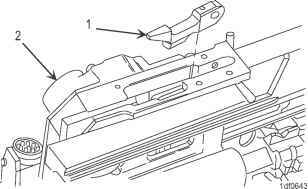 Perform auto gun receiver manual cycle check WP 0008 00 . 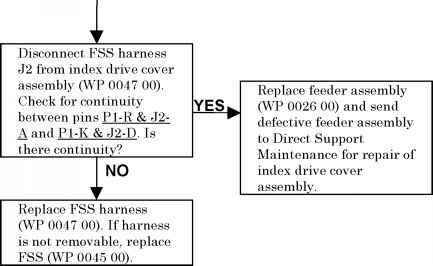 Use helper to hold feeder housing assembly. a. 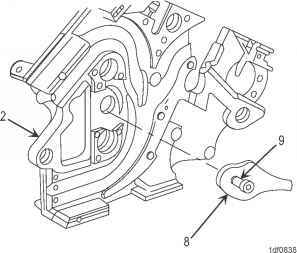 Stand feeder housing assembly 1 on end with spur gears 11 and 12 on top. b. 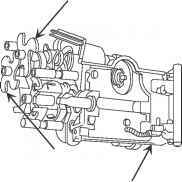 Pull two spur gears 11 and 12 from shouldered shafts 13 and 14 . 7. 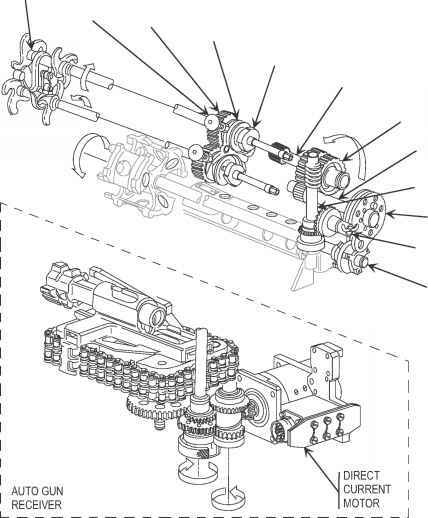 REMOVE YOKE ACTUATOR AND FORK SHAFT ASSEMBLY. a. 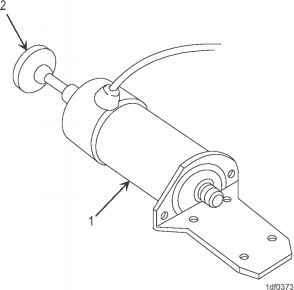 Slide yoke actuator 15 out of feeder housing assembly 1 . b. Screw 5 mm capscrew into fork shaft assembly 16 . c. Pull fork shaft assembly 16 out of feeder housing assembly 1 .